Following the landmark decision from the 2018 House to amend the constitution to ensure that a male and female student will lead St John’s College each year, the 2019 House Committee was confirmed this month. 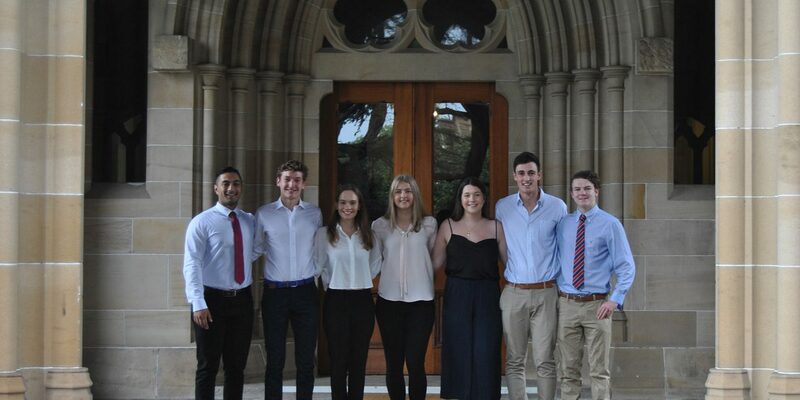 The 2019 House Executive comprises of House Presidents, Lucy Blanzan and James Hansen, with Douglas Gibson elected to the position of Secretary and James Flipo to the role of Treasurer. The House Executive work collaboratively with members of the St John’s staff including the Rector, Vice-Rector, Dean and Dean of Students as representatives of the student body. The House Committee is involved in organising the College cultural, sporting and social activities available to the students as well as any intercollege events. The Committee includes Rawson and Rosebowl Secretaries, Social Secretary, Palladian Secretary and Charity Secretary. Being part of the St John’s College House Committee provides valuable leadership opportunities to members of this student team.